Do you want safety toe shoes that look good and are so comfortable nobody will believe they're actually work shoes? We’ve got them for you - right here. Check out the Timberland Pro Men’s TB0A16NN 001 Black Powertrain Alloy Toe ESD Shoes, and you'll have the co ... (see full details) (see specifications) #TMBTB0A16NN001. Do you want safety toe shoes that look good and are so comfortable nobody will believe they're actually work shoes? We’ve got them for you - right here. Check out the Timberland Pro Men’s TB0A16NN 001 Black Powertrain Alloy Toe ESD Shoes, and you'll have the comfort and safety you need. First of all, when you invest in Timberland PRO shoes, you’re getting pure, lightweight comfort. Timberland is so convinced you'll love their Anti-Fatigue Technology that absorbs the shock (that your feet usually feel) with their cone structure suspension system (which also reduces the weight of the men's shoes) that they guarantee you'll love them within the first 30 days. 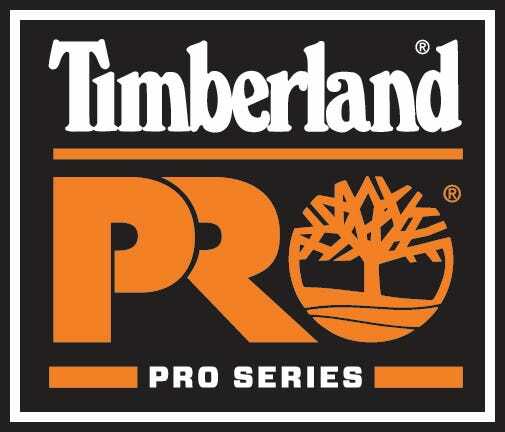 The Timberland PRO 30-Day Comfort Guarantee sounds pretty dang nice. Along with this, the Timberland PRO 24/7 Comfort Suspension supports your arches and cushions your steps. These black shoes are also breathable from the inside out because cool, dry feet are also a key element to comfort. Beginning with the black synthetic and nylon Ripstop uppers and backing that up with antimicrobial breathable mesh linings inside, you have the ultimate in odor and moisture control. The rugged uppers are also metal-free. The alloy safety toes are lightweight while still meeting impact and compression safety standards. These Powertrain shoes are also static-dissipative with the conductive polyurethane midsoles.They also feature fiberglass shanks for lightweight and flexible support underfoot, and the Timberland PRO polyurethane outsoles that are durable, abrasion-resistant, and non-marking. These outsoles are attached to the uppers with cement construction to increase the flexibility and reduce the break-in time. And, did we mention these athletic shoes are pretty good looking, too? Keep your style while on the job with the Timberland PRO Men’s TB0A16NN 001 Black Powertrain ESD Alloy Toe Slip-Resistant Shoes. Order yours today from Working Person's Store! These shoes fit well and are very comfortable, right out of the box - no breaking in. I wanted a good pair of low work shoes to replace my Skechers, and these are great. I've worn them for several weeks and have no negative comments. They are reasonably priced. They were much higher priced on a number of other sites. I highly recommend them. I have bought several pairs of this type of Timberland shoes. They offer a color scheme that matches our company colors, and they are not too distracting. The reviews from the guys is that they are comfortable, but they don't hold up to over the months of abuse that they put them through. I will say that they are good for someone that just needs a comfortable steel toe. The most comfortable work shoe that I have ever worn and they look stylish for a steel toe shoe. I would not try another type of steel toe after wearing a Timberland work shoe!!! I have tried other more expensive steel toe shoe and they wear either not stylish, felt like a boot and were too heavy and uncomfortable. Timberland Pro Shoes: Men's TB0A16NN 001 Black ESD Alloy Toe Shoes is being added to your cart.